Heat oven to 400°F. Line cookie sheet with nonstick silicone baking mat or cooking parchment paper. Remove dough from can; set icing aside. Separate dough into 8 rolls. 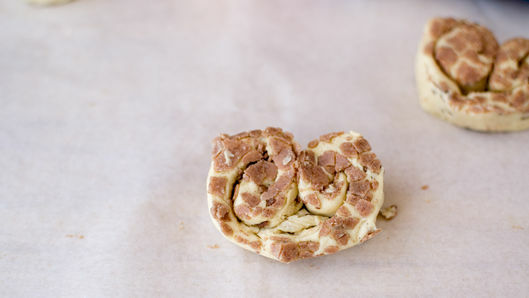 Use knife to gently cut around spiral in each roll so dough can be unrolled. 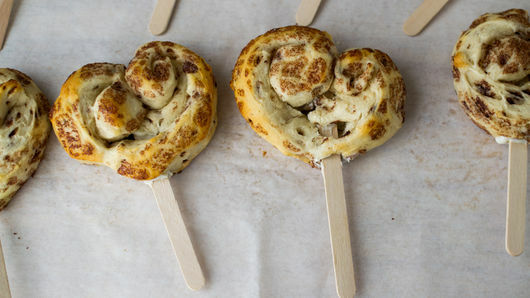 Unroll each cinnamon roll. Re-roll dough from both ends at the same time until ends meet in center. Pinch flat bottoms into a point to form heart shapes. Place on cookie sheet. Bake about 8 minutes or until golden brown. Cool completely, about 30 minutes. In small microwavable bowl, microwave white chocolate chips uncovered on High 30 to 60 seconds or until chips can be stirred smooth. 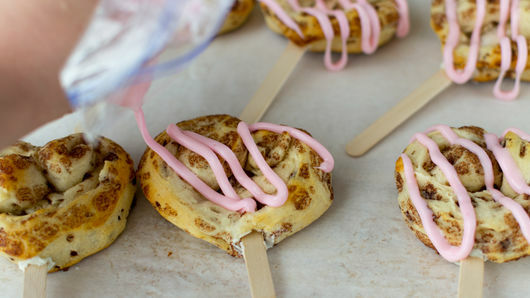 Dip tip of 1 craft stick in melted white chocolate; poke stick into pointed end of heart-shaped roll. Lay flat on sheet of waxed paper so chocolate can harden. (This ensures it will stay on the stick.) Repeat with remaining sticks and rolls. Place 1 to 2 drops food color in reserved icing; stir to get desired color. Place icing in resealable sandwich-size food-storage plastic bag. Seal bag; snip off one bottom corner of bag. 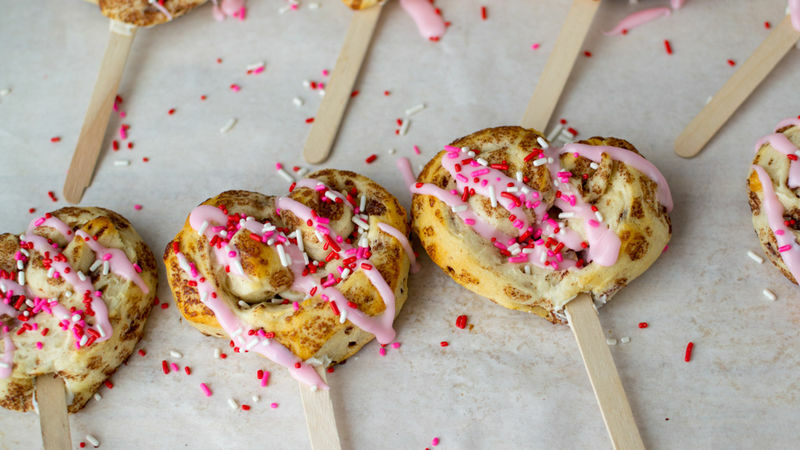 Pipe swirls of icing onto each cinnamon roll. Top with candy sprinkles. Let stand until icing is set before serving or packaging. Use 1/4 cup melted chocolate chips (any flavor) instead of the icing that comes with the rolls for a chocolaty treat. Once the icing is dry, package the rolls in cellophane bags with a pretty bow to give to your child’s teacher on Valentine’s Day!